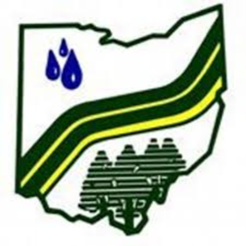 Bob Short of Williams County serves as the First Vice President for the Ohio Federation of Soil and Water Conservation Districts. He has been involved in Ohio’s Soil and Water Conservation Districts for over ten years serving as supervisor, director and state officer. Bob and his wife Peggy operate a farm growing corn, beans and wheat in Williams County. Bob also works as a supervisor in a foundry operation for Chase Brass and Copper Company. Bob has a big heart for his community and people. Not only does he serve with Soil and Water Conservation Districts at the county and state level, but he also serves his community as a volunteer firefighter, medical first responder and as a township trustee. Bob is one of the first graduates of the OFSWCD, Tom Spellmire Leadership Academy, which is a leadership program through the partnership of The Ohio State University. Bob’s hero is his father who instilled in him the love of farming and conservation. We are thankful for Bob’s passion and leadership as part of the OFSWCD officer team. Thank you for serving Bob!